When watching YouTube videos or reading beauty/ lifestyle blogs I notice a pattern; it seems as if everyone has a skincare routine and I'm the only one that does not. Please tell me I'm not alone, am I? No, but seriously when it comes to a routine I’m not the most organized. Well at least when it’s about skincare, Although I do have a hair routine that changes every few months. Honestly I just enjoy searching for skin products and looking at what works best for me. Being consistent with a skin routine isn’t on my to do list right now, I don’t have the patience! The Nuxe cleansing gel is great for those who experience dry and sensitive skin and it’s perfect for all skin types. This gel includes honey and sunflower extracts, that soothes irritated skin and softens it. Also cleanses both the face and the body and does not make your skin look or feel dry. 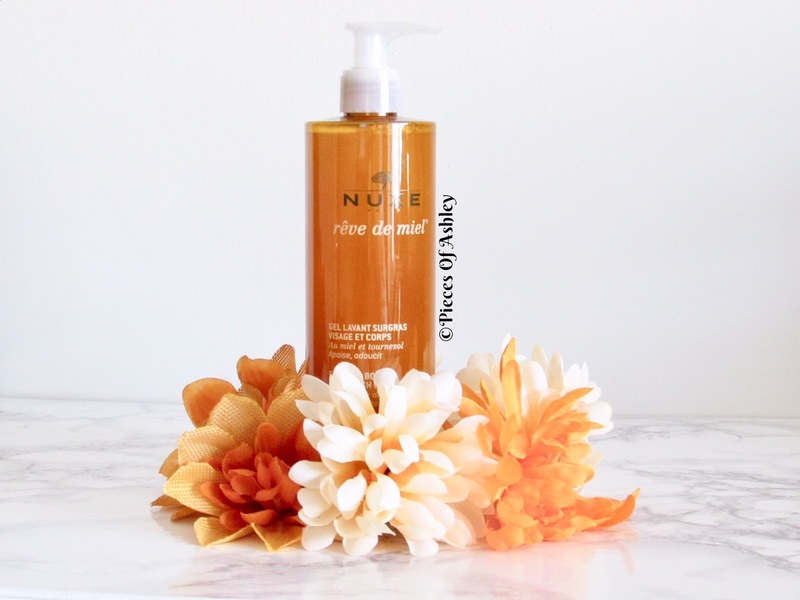 Nuxe cleansing gel is of natural origin and is soap free and claims to be dermatologically tested. The price of this face and body cleansing gel costs $20.51 for a 13.5 FL. OZ size bottle. This bottle will take carry you for a while, which is really good. Overall I really like this cleansing gel, it’s very soothing for my skin. This product is between a light and thick consistency. The best part about this gel is, it does not leave a sticky or greasy residue. My skin feels soft and has a nice glow to it. I love using this on my face, because I don’t experience any redness. I never really noticed how sensitive my skin is to certain products, so I’m glad this didn’t irritate my skin. During these Winter months this gel will definitely help. I experience dry skin and sometimes it cracks. So this has been keeping my skin looking and feeling healthy/ hydrated. I hope you enjoyed reading! What products do you like to use for your skin, I'm looking for suggestions? 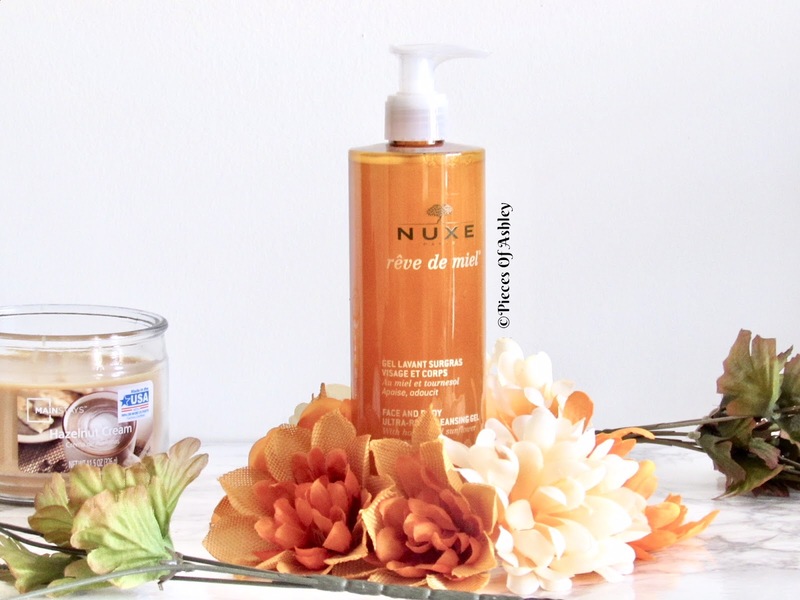 Nuxe is a lovely brand, I’ve used the gentle rose toner but I haven’t seen this before. I’m currently loving cleansing oils. This one sounds gorgeous and is a good size too. You’re definitely not the only one without a skincare routine because life is too busy haha! I’ve been meaning to try some Nuxe products but still haven’t had the chance. The cleansing gel seems like a good place to start! This sounds amazing i have super dry skin! I've heard good things about this nuxe yüz temizleyici product. Going on my wish list now!